100# BRIGHT BLUE COLORED CARDSTOCK This product also available in other colors and lighter weights. 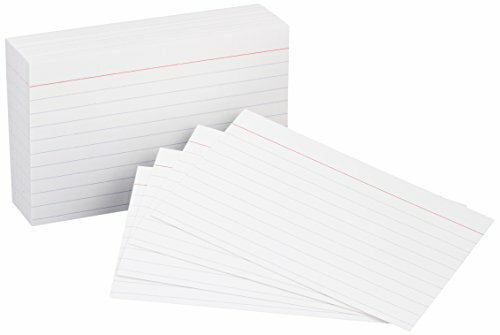 The larger 2" x 3.5" size allows more information to be recorded on the blank index flash cards. 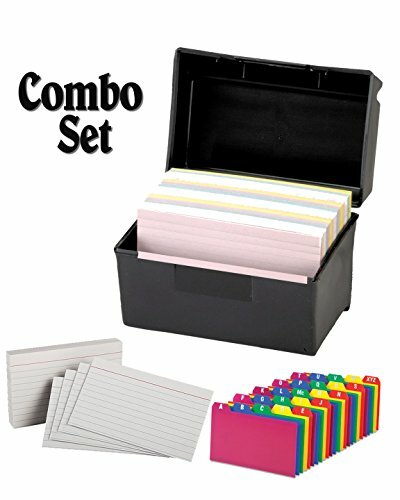 Sturdy storage box with lid let's you keep your index flash cards clean and organized. 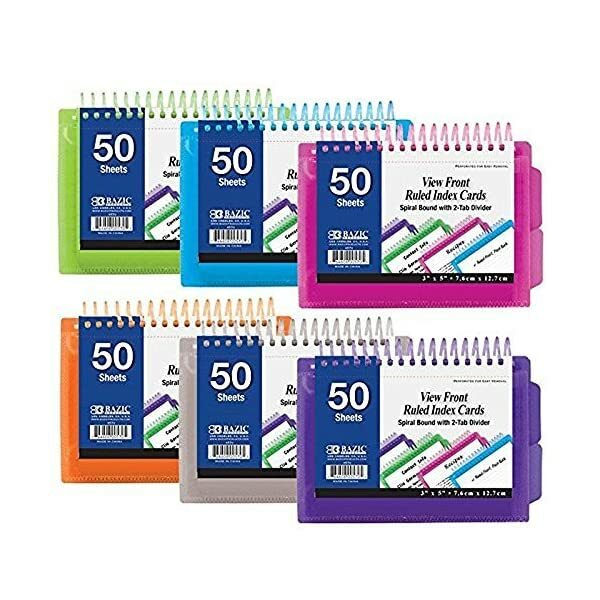 Great for taking them with you on the go. 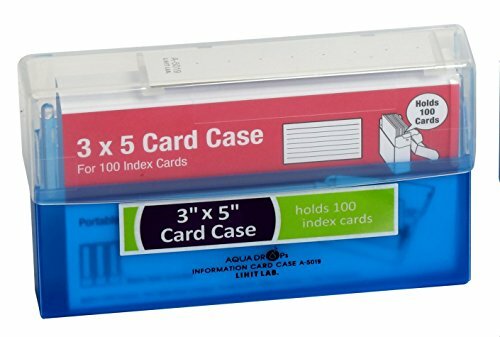 DEBRADALE DESIGNS – Small Blank Colored Index Cards – 3-1/2″ x 2″ Inches – 5 Colors – 1,000 Cards – BONUS Storage Dispenser Box With Attached Lid & Velcro Closure – Product Made Entirely in the U.S.A.
►MADE IN THE USA, UNLIKE OTHER BRANDS. 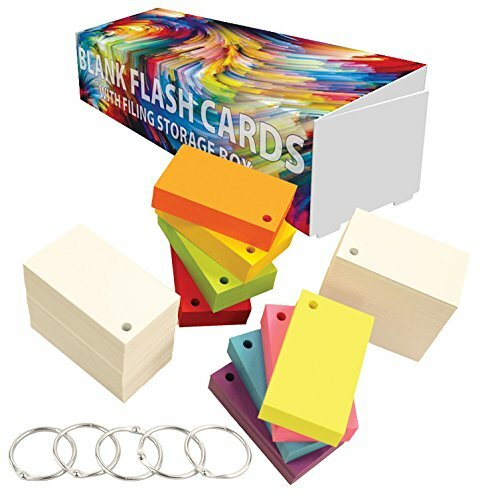 This Is Our Original Blank Flash Card Product. 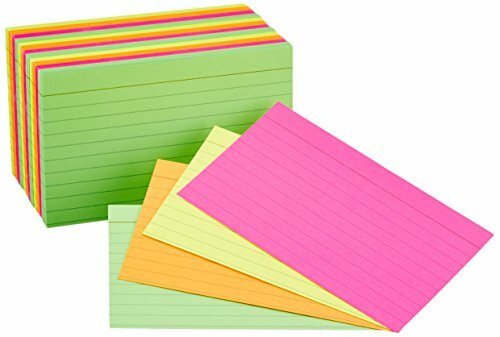 The paper is lightweight cardstock and the size is small so these are intended to be used as study/note cards. 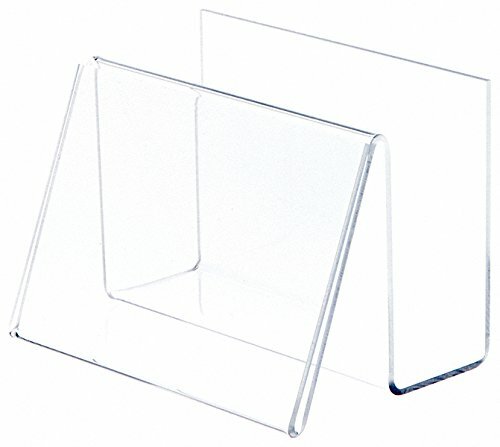 We offer many choices in larger and thicker cardstocks. 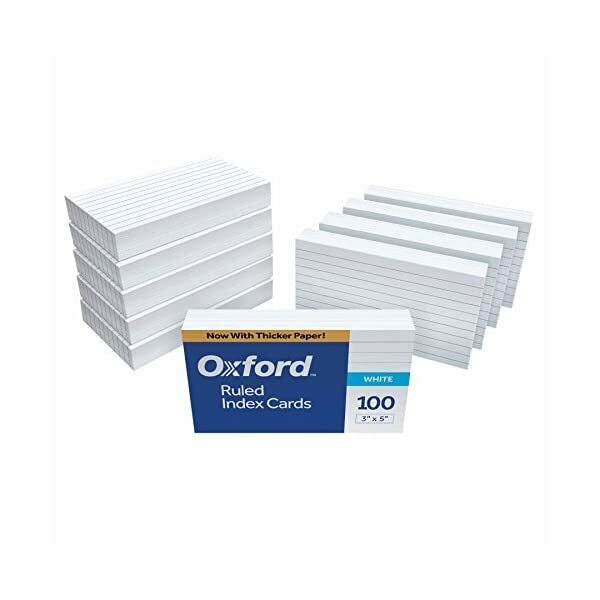 ►THESE ARE OUR SMALLEST AND THINNEST BLANK FLASH CARDS WHICH IS WHY THEY ARE ALSO OUR LEAST EXPENSIVE. For Thicker Or Larger Cardstock Click On Debra Dale Designs To See Your Other Buying Options. 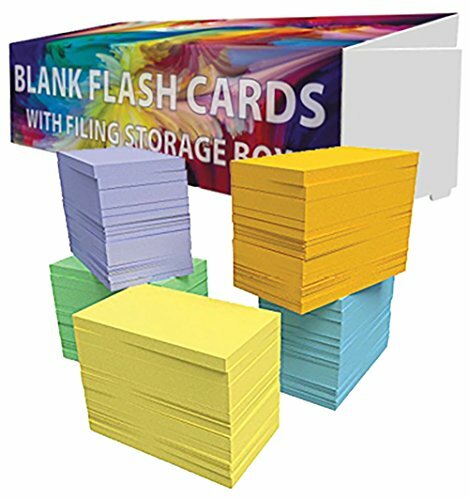 ►1,000 CARDS IN FIVE (5) PASTEL COLORS FOR BETTER ORGANIZATION. Blue, Green, Yellow, Goldenrod, And Lilac. Divide Your Cards Up By Subject, By Teacher Or By Any System That Works Best For You. 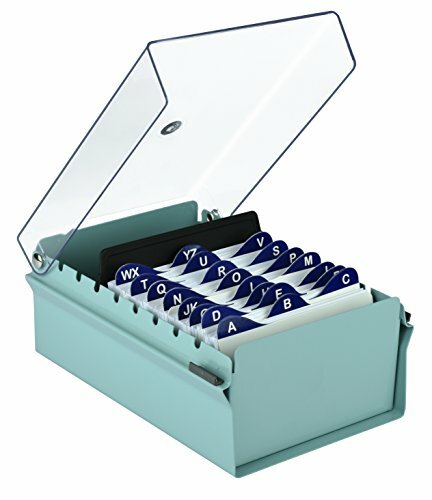 Portable storage - great for on the go!